Located just 15 minutes from downtown Cuenca, this 1500 square feet house is priced very well and is sure to be sold within the month. 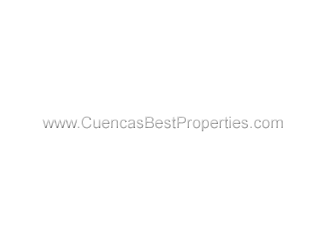 Beautiful, 3 year old custom designed 4 bedroom, 3.5 bathroon 1900 square feet home conveniently located in SW Cuenca. To be honest, we almost feel like we’re giving away this place at this price. 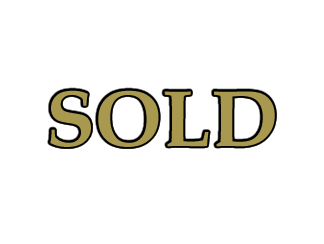 119.000 for 9000 square feet of land and a nice beautiful hacienda styled house that comes in at 1600 square feet which is currently single level, but has strong foundations which make it possible to build another level on top. AND PONDS AT THE FRONT. If you’re tired of looking at apartments and want something a little more substantial in a great neighborhood, this 2 level house near Supermaxi is a very nice option for you. This property, constructed in 2014, consists of 4 floors, each 5 meters by 6 meters ( 30 sq. meters or 323 sq. feet), for a total of 120 square meters (1292 sq. feet). All floors are served by an elevator. This big 2000 square feet house is located just a few steps away from the Racar Mall, public transport etc. This is a safe local neighborhood and there are nice views of Cuenca. This single level house comes completely furnished and at just 139.000 for this big of a house this is really a steal, especially considering it sells furnished. Located just 2 blocks away from Quinta Lucrecia, one of the most beautiful event venues in Cuenca, this 3-bedroom house is up for sale and at a great price. Located in the vista linda area, a few blocks away from the main high way but located right in a quiet and silent river front street. This very comfortable 1800 square feet house sits on top of a 1700 square feet patch of land and has a front patio and garage. Located on the west side of Cuenca right in front of the Tomebamba river this house is a project that will contain 5 independent apartments, 2 on each floor and one penthouse. This high ceiling 4 bedroom house is a stunner at just 145.000. Located just 5 minutes from the popular Challuabamba area, which means you’ve got all the comfort like a shopping mall, lots of taxis and even Fabianos is really close now. You don’t like living 20 stories up and rather have a big yard than a terrace? This place is perfect for you! There are 8 houses to be finished according to the needs and desires of whoever buys them. This great looking 13 year old home has some great features you’re sure to like. If you love the thermal hot springs and the views Baños offers, this amazing 4-bedroom house is definitely up your alley. This place comes in at 1200 square feet, has 3 bedrooms and 2 full bathrooms. It’s located just 2 blocks away from the San Sebastian plaza and park. WITH LOTS OF GREAT FEATURES. This very nice single level house is located in Ricaurte, one of the most underestimated areas of Cuenca and it’s close to downtown, either by bus or car. LOOKING FOR SOMETHING DOWN TO EARTH AND TYPICAL? This nice and traditional Cuencano home is located in the downtown area, only a couple of blocks away from Parque Calderon and the soon to be finished Tranvia. This big house is located just a couple of blocks away from the downtown area and just a few steps of the main tranvia path. This amazing looking house comes in at 1100 square feet divided into 2 levels. There’s lots of wood, exposed brick and nice vintage touches like the furniture, lighting and just the overall look and feeling of the house. GREAT SINGLE LEVEL PATAMARCA HOUSE. At just 179.000 this place is below market value, especially considering the sheer space and construction you get: 3500 square feet of land with a 2500 square feet house. This house was for sale at a higher price, but the owners have decided to lower it to an all-time low of 179.000. OF LAND. MINOR WORK MAKES THIS A GEM! This home in Challuabamba, just 20 minutes outside of Cuenca, offers a real chance to get into a great neighborhood at a very reasonable price. A beautiful house for sale in Zhullin, between Cuenca and Azogues. We´ve had this house evaluated and we we’re told it’s worth at least 230.000 but the owner is currently selling at 180.000 but for a limited time only. This place is just a couple of minutes from the Social Security hospital and has lots of nice features you don’t see often in Ecuador.